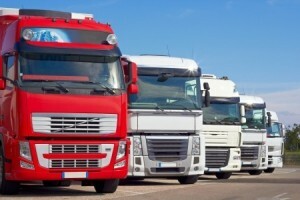 Data from the Federal Motor Carrier Safety Administration shows that both the rate of truck accidents and the number of injuries and fatalities associated with them are climbing. Crashes involving tractor trailers increased 11 percent between 2009 and 2012. Fatalities escalated by 16 percent, and there was a 43 percent rise in the number of injuries. In Illinois alone, 93 people died and more than 2,500 others were injured in truck crashes in 2011, according to Illinois Crash Data. While the average passenger vehicle requires about 100 feet to come to a complete stop at highway speeds, commercial vehicles need over 300 feet because of their size and weight. These stopping distances do not include the increased risk attributed to speeding and delayed reaction time. The Federal Motor Carrier Safety Administration attributed more than 200 of the truck crash fatalities in 2012 to driver distraction. Taking the eyes, hands or mind from the task of operating a vehicle constitutes distracted driving, and because using a handheld device typically involves all three, it is particularly dangerous. Research conducted by the Virginia Tech Transportation Institute shows that when truck drivers dial a cell phone, they are 3.1 times more likely to cause accidents, and texting is 23.2 times more likely to cause accidents. Lawmakers have increased the penalties for truckers, but cell phone use continues to cause crashes. 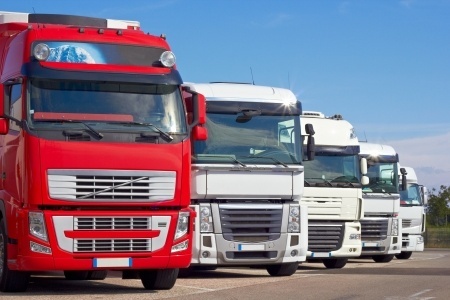 Trucking companies are required by law to inspect their vehicles at regular intervals, and maintenance or repair issues should be taken care of immediately. Maintenance involves all aspects of vehicle upkeep to prevent defect development and ensure the safety of the truck. Ultimately, the operator is the individual responsible for the condition of the vehicle. The accidents caused by mechanical failures are almost always preventable. Truck drivers are restricted to 11 hours of driving each day by law. Even this limit results in a long and taxing work day, but many exceed these limits in order to fill a demanding schedule or to compensate for traffic issues. The resulting fatigue causes a lag in the body’s ability to react in a timely manner to hazards. Long stretches of roadway without a break in monotony can also lead to a soporific effect that slows reaction time. The National Highway Traffic Safety Administration estimates that over 100,000 accidents each year are directly related to driver fatigue. Victims of truck accidents often have expensive medical bills or permanent disabilities, and should seek the help of a personal injury lawyer in Illinois who can provide expert legal advice in order to receive full compensation.